Eagles stun Nighthawks at the end in an instant classic. 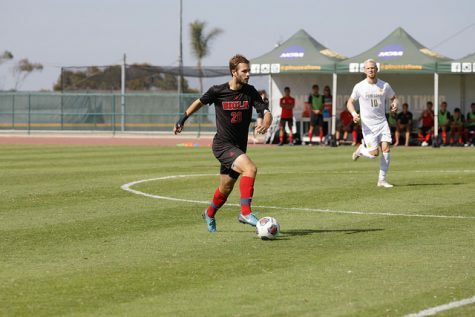 In an absolute thriller, Biola men’s soccer beat Northwest Nazarene University Thursday thanks to senior midfielder Kousei Mattox. The team co-captain rifled home the winner in the 89th minute to secure the 3-2 win for the Eagles. With the game tied at two, Mattox made a marauding run down the field into space and passed to junior forward Leo Thompson, who returned the ball to Mattox in stride. Mattox took a touch to set himself up and slotted home the game winner beautifully with his left foot, causing the home crowd at Al Barbour Field to erupt and the Biola bench to clear and celebrate with their captain. Mattox’s goal was the 6th of his long collegiate career. For him, it was redemption. 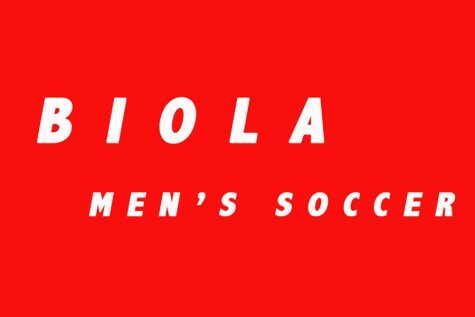 Biola took the lead early on thanks to some tidy combination play between senior midfielder Aaron Hontucan and junior forward Leo Thompson in the 10th minute. who made a run that beat out the goalkeeper from inside the box. 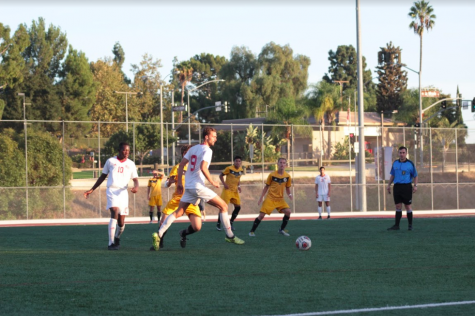 The lead did not last long, however, as miscommunication along the defensive backline resulted in an own goal in the 25th minute as Biola went into the half tied 1-1. In the 45th minute, just after the second half kickoff, senior midfielder Gilbert Sotelo created some space outside the box and hit a 25-yard shot off the crossbar and into the back of the net. His first collegiate goal put the Eagles ahead 2-1, but the Nighthawks converted a penalty kick in the 53rd minute to pull even. 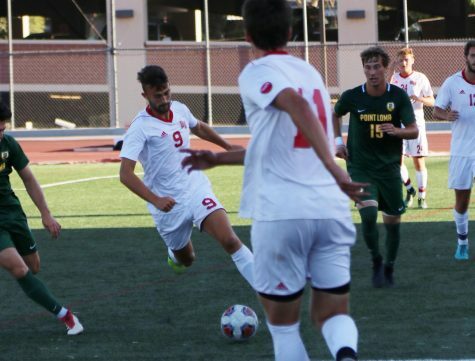 Head coach Todd Elkins said his own team was at fault for both of Northwest Nazarene’s goals, both of which occurred soon after the Eagles had gained a lead. However, Elkins praised the mentality of Mattox and other leaders on the team. 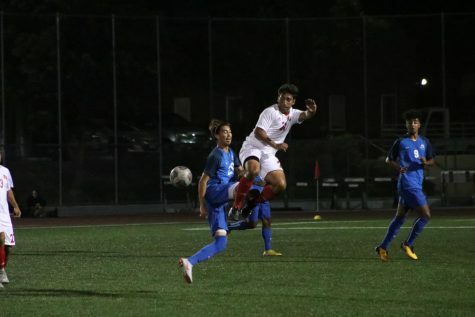 “Guys like Kousei, those are the guys that are steady, they raise the levels, and that steadiness will get you through a 90 minute game,” Elkins said. 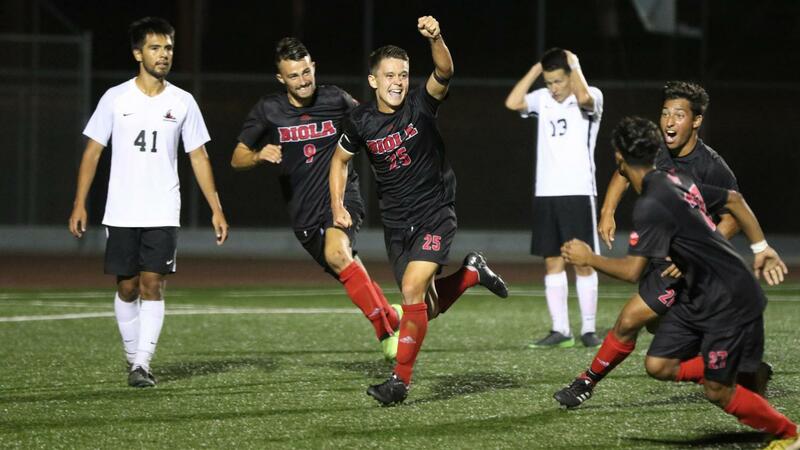 Biola is now 2-2 overall and returns to action at home against Fort Hays State University on Saturday at 4 p.m.